Book Appt to save 20% off Labor Now! 15% off all BRAKE repair Services! 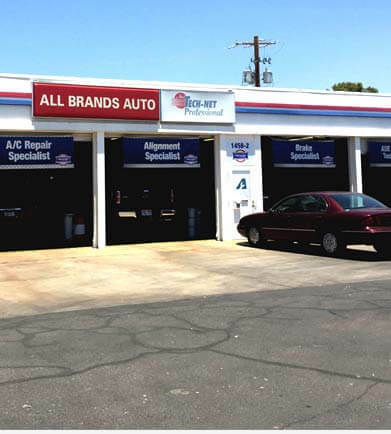 Our experienced and knowledgeable team of mechanics fix all makes and models of vehicles. Be it an Audi, Ford, Cadillac, Chevy, Infiniti, Lexus, Mercedes,Toyota,or company van, truck or RV, we have, and will repair it all! Don't let a faulty alternator bring your car to a stop. Contact us for alternator repairs and service. They take care of all our company trucks and personal vehicles we know we will be back on the road without a worry. Thanks All Brands Auto you are the BEST. Spring LOVE discount: 15% off any type of brake job!! And ALWAYS... Military discounts available!! !